Guest blog by Carl McColman who is a Christian contemplative writer, spiritual director, and retreat leader. 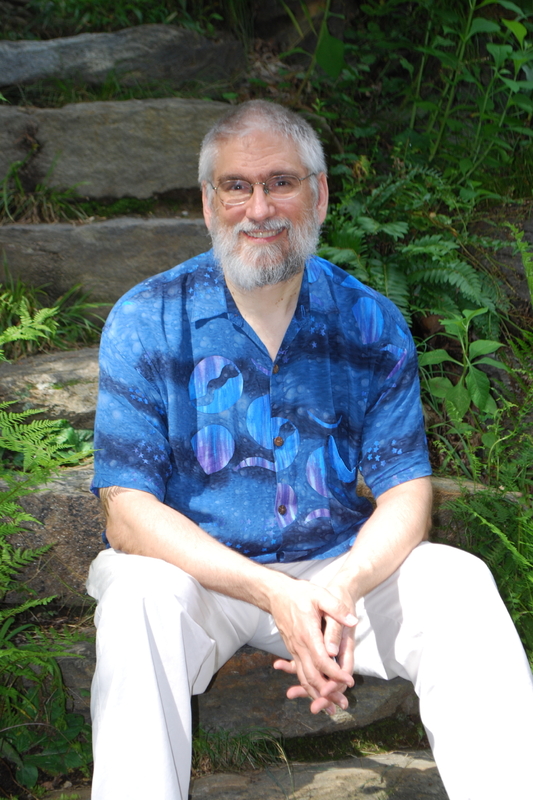 His books include The Big Book of Christian Mysticism and Answering the Contemplative Call. He is member of the Lay Cistercians of Our Lady of the Holy Spirit, and lives near Atlanta. Read his blog at www.carlmccolman.com. He is also a member of Shalem’s 40th Anniversary Honorary Council for Shalem’s 40th Anniversary Prayer Vigil. On his live album Precious Friend, Arlo Guthrie cracked a joke: “You can’t have a light without a dark to stick it in.” Seekers of holy nonduality recognize the truth of this humorous statement. In the economy of grace, the words of the author of Ecclesiastes ring true as ever: “There is a season for everything, a time for every occupation under heaven … a time for loving, a time for hating; a time for war, a time for peace.” (Ecclesiastes 3:1, 8) But when I read this list, I’m tempted to fall back into the human desire to control life by managing our experience: “It’s okay to love, but not to hate; peace is better than war” and so forth. And why not? I’m much more interested in loving than in hating, in being a peacemaker than a warmonger. But you can’t have a light without a dark to stick it in. Like it or not, we live in a world where war happens, where hate happens, where abuse and addiction and violence all happen. And while it’s imperative to make moral choices to inform and guide our lives (abuse and violence are not okay), contemplative practice brings us face to face with the reality that we are called to live in, and respond to, and love and forgive, a world where light and dark both exist, both persist, and both impact the course of our lives and the choices we are called to make. For its fortieth anniversary, Shalem has chosen “Trusting the Spirit” as its theme. I wonder what trusting the Spirit really looks like from a deep contemplative place? I must confess that my capacity to trust is hardly exemplary: I trust, and I mistrust. I have faith, and I doubt. I respond spontaneously to the urging of my heart or intuition, and I second-guess myself. I accept the wisdom of my faith community and my tradition, and I argue against such wisdom. But you can’t have a light without a dark to stick it in. Perhaps we can only trust to the extent that we also can doubt. Perhaps our ability to say yes — to our tradition or our teachers — is shaped by our capacity to say no. Perhaps the key to trust is learning to trust both our trusting and our doubting. The radical nonduality to which contemplation invites us is not an “everything goes” nihilism, where nothing really matters. Rather, it is an “everything belongs” embrace, where we affirm that which is good, and that which is bad is accepted even as we seek to heal or change it. If we hate the haters, aren’t we just lending energy to their pattern? Only by loving the haters can we ever hope for radical transformation. That is the secret of forgiveness, as well as of unconditional love. So I’m with Shalem: let’s trust the Spirit, and do so radically. But ironically, that includes even trusting all the ways in which we choose not to trust or even fail to trust. Not to acquiesce to our mistrust, but, paradoxically, to accept it: thereby creating the space where the Spirit may continue to move in, and transform, our lives.